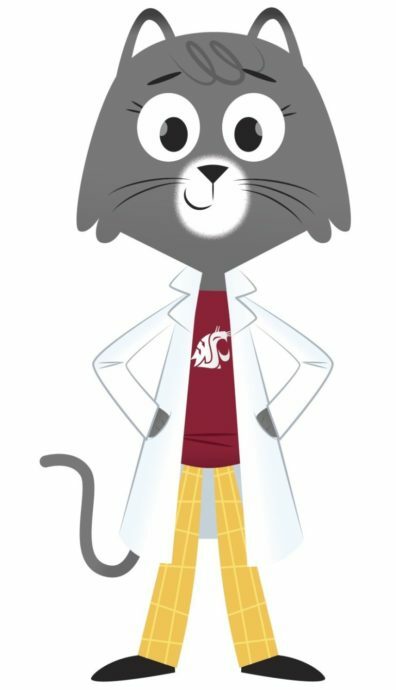 University Communications Network > Ask Dr. Universe > Do fish pee? That’s what I found out from my friend, Cori Kane, a marine biologist at Oregon State University who got her Ph.D. at Washington State University. She knows a lot about coral reefs in our oceans. Coral reefs look like a ridge made of rock, but they are actually made up of living things. Corals need a few things to survive. They need clear, warm water, sunlight, and nutrients, a kind of food that helps them grow. There aren’t usually a lot of nutrients in water near coral reefs. Luckily, there are a lot of nutrients in fish pee—and a lot of fish in the reef. Like you, fish have kidneys. Kidneys help the body make urine. The shape and size of kidneys can be different depending on the species. Some kidneys are really long, like those in eels. Others are shorter and closer together like in an anglerfish. A lot of fish get rid of the pee through an tiny opening, called a pore, that’s near their rear ends—and in some fish, waste also goes out through the skin or the gills. When a fish pees in a coral reef, the corals wave their tentacles around like tiny arms to grab nutrients from the pee and absorb them. Pretty much all living things—from plants to mushrooms to humans to cats—need nutrients to grow and survive. Humans get a lot of nutrients like minerals, fats, vitamins and carbohydrates from their food. Corals get nutrients like nitrogen and phosphorus from the pee. It turns out, fish pee is pretty important to some marine ecosystems. The nutrients will help the coral grow— slowly, but surely. In a year, the reef will grow anywhere from less than an inch to 8 inches. It will bloom in beautiful colors like red, purple, and blue. Scientists have discovered thousands of fish that live in coral reefs. One of them is the clownfish. When clownfish pee, they can also help anemones— which look kind of like flowers but are actually animals closely related to jellyfish— grow. Another organism called algae also lives in anemones. The algae take in nutrients from clownfish pee. The algae can then make sugars that feed the anemone. They are pretty good at helping each other out. While we’re on the subject, fish also poop. Believe it or not, some of the corals will even grab onto fish poop to get some nutrients. Kane also told me about the neon-colored parrotfish. It’s a fish that lives in tropical reefs around the world and has a mouth that looks like a parrot’s beak. From sardines to sharks, pretty much all of the animals in the ocean have to go to the bathroom. « How do volcanoes erupt?